Larry Darrell is a young American in search of the absolute. The progress of this spiritual odyssey involves him with some of Maugham's most brilliant characters: his fiancée Isabel, whose choice between love and wealth have lifelong repercussions; and Elliot Templeton, her uncle, a classic expatriate American snob. 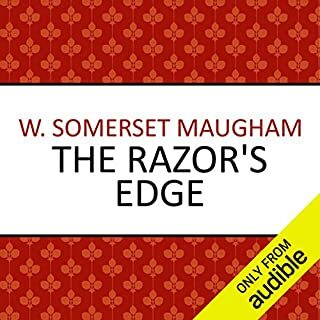 The most ambitious of Maugham's novels, this is also one in which Maugham himself plays a considerable part as he wanders in and out of the story, to observe his characters struggling with their fates. Can You Forgive Her? is the first of the six in the Palliser series. Trollope inextricably binds together the issues of parliamentary election and marriage, of politics and privacy. The values and aspirations of the governing stratum of Victorian society are ruthlessly examined, and none remains unscathed. But above all Trollope focuses on the predicament of women. 'What should a woman do with her life?' asks Alice Vavasor of herself, and this theme is echoed by every other woman, from her friend, the uncomfortably married Lady Glencora, to her aunt, the coquettish Mrs. Greenow, as well as her clear-headed cousin, Kate. 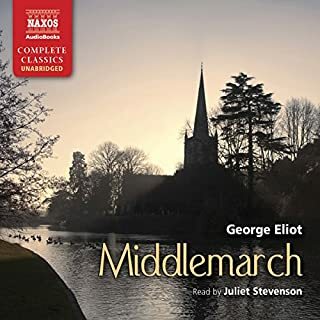 Alice is torn between marrying her ambitious but violent cousin George or the bland but gentlemanly John Grey, ending up both accepting and rejecting each of them in turn and thus transgressing from the Victorian moral code. In contrast, her friend Lady Glencora is forced to marry the rising politician Plantagenet Palliser to prevent the worthless Burgo Fitzgerald from wasting her vast fortune. Trollope was considered one of the most successful and respected English writers of the Victorian era. With more than 40 published novels, they are regarded by some as among the greatest of 19th-century fiction. Many of his works covered political, social and gender issues. Fans of his work have included former British Prime Ministers Harold Macmillan and Sir John Major. Timothy West is prolific in film, television, theatre and audiobooks. He has narrated a number of Anthony Trollope’s classics, including the six Chronicles of Barsetshire and The Pallisers series. He has also narrated volumes of Simon Schama’s A History of Britain and John Mortimer’s Rumpole on Trial. Timothy West’s theatre roles include King Lear, The Vote, Uncle Vanya, A Number, Quarter, and Coriolanus. His films include Ever After, Joan Of Arc, Endgame, Iris, The Day of the Jackal. On television, Timothy has appeared in Great Canal Journeys, Last Tango in Halifax and Bleak House. In this day and age the available vocabulary to most of us is so limited within that which we read or view everyday. This book despite its obvious Victorian sexism, makes you realise what beautiful rich diction existed then, primarily perhaps by the absence of word limitation requirememts these days on social media. Make your children read otherwise this literature will be incomprehensible to the next generation. 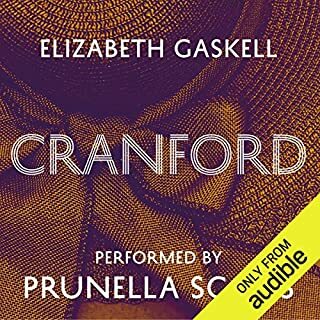 The story is long and detailed in Trollope style - and could use some abridging to improve the pace and cut down on outdated philosophy. Still, it’s a fine study of character. 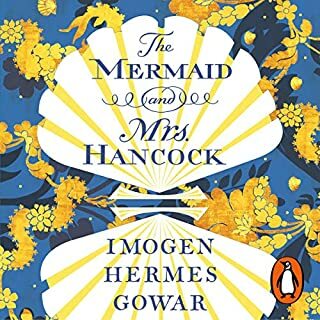 The reading is somewhat condescending in tone to the women, who are the most complex and entertaining of the novel, but even so, I lived with the book and will miss it. What does Timothy West bring to the story that you wouldn’t experience if you had only read the book? This is an superb performance of Trollope's speaking narrative. Trollope, I think, would love it; it is entirely in Trollope's service. Trollope's style, syntax, and voice are all excellently rendered throughout the 28 hours of storytelling. The acoustic quality is consistently perfect throughout all 28 hours. If West made any mistakes, they were edited out perfectly. The microphone was placed perfectly. 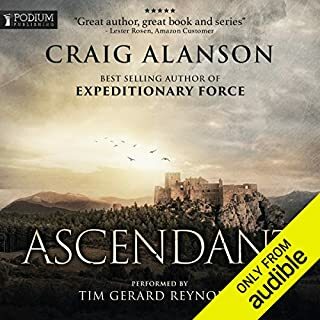 I listened to the Audible enhanced MP3 format, which is 800 MB for the unabridged novel. The recording is so good that the lighter MP3 formats are sure to be of the highest quality also. West's differentiation of individual characters is excellent, as each narrative voice is specific and recognizable and yet not delivered with extravagance. West's aim is to be expressive yet subtle. (Perhaps the subplot with Mrs. Greenow and her two suitors is a bit extravagant, but that is as Trollope wishes.) 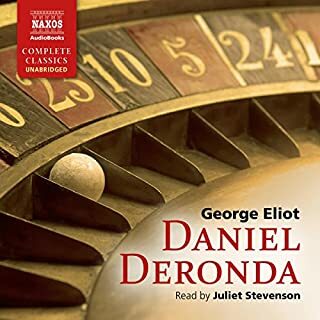 West renders sustained dramatic dialogue perfectly (very important for one of Trollope's greatest strengths), with just the right timing and nuances of tone. Glencora's quick, witty, passionate voice comes through very well. In short: The narrator is performed as a speaking voice, and the characters are acted through the narrative voice. Trollope provided the score, and West is a great musician. 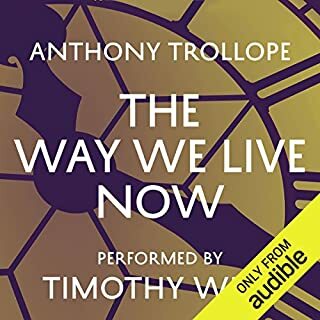 Great listen - I'm working my way through the audio collection of Trollope and having read this book 20 years ago really enjoyed the wonderful narration by Timothy West. I'm a huge fan of his work - especially the female voices. The great aunts etc. Boy were the old girls bossy back then. I do love it when they feel the need to tell some distant relative how to run their lives. What happened to these people - Did the First World War knock them all off! 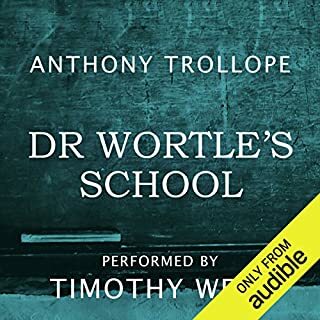 I've now listened to every Timothy West narration of Trollope available on Audible. When I finished the Barchester series, I felt depressed. It was a happy day when I saw that "Can you Forgive," the first in the Palliser series,was released. Can't wait for the next one. 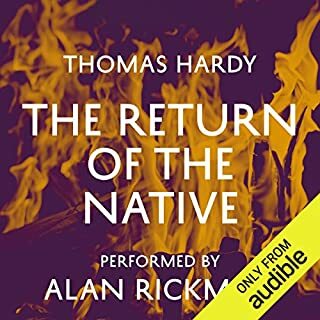 I enjoyed the audiobook better than the book. Trollope is one of my favorite authors. I loved the Barchester Chronicles, but when I began reading "Can You Forgive Her?" I pretty soon decided that I couldn't. 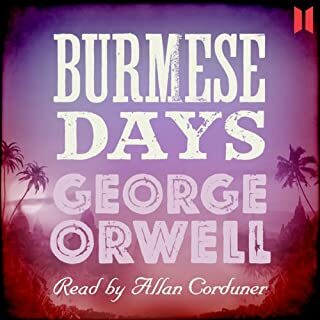 Years later, I tried this audiobook and loved it. Timothy West's excellent reading helped me see the humor and irony in what, on first reading, I considered the ridulous and pointless dilemma of the heroine, Alice Vavasour. The American voice in my head did not do justice to the essential Englishness of this plot. 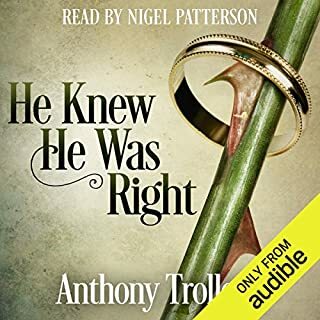 Timothy West is a terrific reader, whose audiobooks I continue to seek out. This is the first novel in Trollope's "Palliser" series, introducing the central characters with the marriage of the flirtatious, flighty and beautiful Lady Glencora M'Cluskey and Plantagenet Palliser, rising Liberal politician and heir to the Duke of Omnium. Politics are never far away in these novels, but this particular installment in the series concentrates heavily on the dilemmas of two women, Lady Glencora, in love with a worthless reprobate, and married against her will to an earnest, good, but essentially dull man; and her cousin Alice Vavasor, who vacillates helplessly between two suitors, the handsome, good and safe John Grey, and her charismatic and dangerous cousin George, who shares her fascination with politics, and to whom she was once engaged. No male Victorian novelist wrote more sympathetically about women than Trollope, but there is one issue on which he is perversely prejudiced, and that is in his belief that a woman, once she has given her heart and hand, should not change her mind, or ever fall in love with anybody else. In a previous novel, "The Small House at Allington", the heroine, Lily Dale, falls in love with a cad who jilts her, and then spends hundreds of pages refusing to marry a man who truly loves her, before finally dwindling into an old maid rather than betray her first love. Even at the time of publication, this was considered extremely unreasonable, and Trollope received many letters from irritated readers demanding that Lily should be allowed to marry her second suitor. (Modern readers generally feel more inclined to punch her.) At least by "Can You Forgive Her? ", Trollope was more realistic on the subject: though Alice breaks off not one but two engagements, after many travails she is allowed a happy ending, and not even Trollope would have dared suggest that Glencora would have been happier with Burgo Fitzgerald. I loved the Barchester Chronicles read by Simon Vance and I have waited and waited for his recordings of the Pallisers. Finally, I compromised and purchased the Timothy West readings. I was not disappointed. Although a different reader than Simon Vance, Timothy West brings verve and creative characterizations to the voices of all those who people Trollope's world. I enjoyed the book tremendously and look forward to the next volume. It is so lovely to have the great nineteenth century classics brought to life by such great readings as I am sure many of these books were originally read out loud to pass an evening. It really brings out the humor and wit much better than reading on the page. I highly recommend both the books and these readings, excellent audio quality and sure to please. To have the superb reading by Timothy West and the fantastic writing of Anthony Trollope is a dream come true. I cannot get enough of Timothy West's reading nor of this author. I just love this book and this performance. I highly recommend this reading. As usual, I was completely entertained with the narrator as well as the story of this Anthony Trollope novel. The characters are so alive. I usually listen to books-on-ipod when I am sewing: I found myself stopping just to really listen to the action of this novel! I loved this book, but I do like Trollope and classic fiction in general. The narration is great, although I wish that the pauses between chapters weren't quite so long. 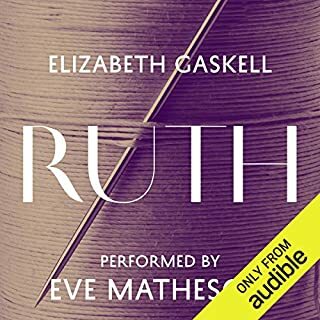 If you're not into long novels then this probably isn't the audiobook for you. But if you enjoy Trollope, this is a great buy. The central characters step out of the box in this Victorian novel. An insightful view of how women think, with that wonderfully dry British humor. My favorite of his books so far. 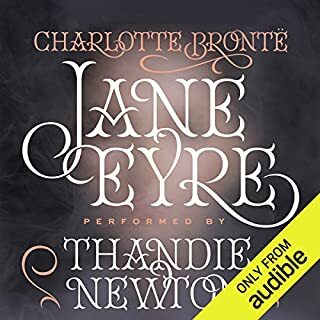 Gloomily, I searched yet again (probably for the 20th time) to see if audible.co.uk had got this title and they have now!!! Trollope is my favourite male author and Timothy West is my favourite reader of his work, ably bringing to life the many personalities in Trollope's novels. As stated in the description, this is the first of the political Palliser Books but the insights of his era are just as pertinent today as is his insightful portrayal of his characters' motives and behaviour in their personal lives. 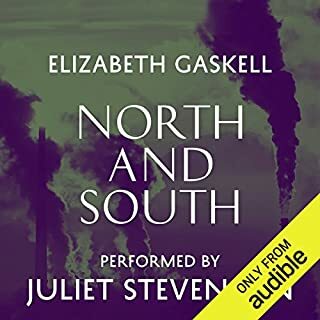 Listeners will be introduced to (and come to fall in love with Glencora and Plantagenet Palliser - the focal persons in the series); will relish the cynicism of the Duke of Omnium and Glencora's snobbish relatives; and come to actively hate the villian of this novel! And that's just for starters. These novels predate the formal study of psychology but are expert little gems of analysis that can well stand repeated readings/listenings with fresh points to ponder coming out each time. So if you like good involved plots well delineated, you are in safe hands with this author and reader combination and are in for a long-lasting treat! Another wonderful reading of a great Trollope novel by Timothy West, who captures every nuance of style,character,humour and pathos. Please read the rest of the series Mr West! Twenty hours! 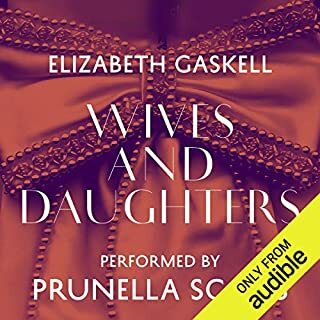 I think the great beauty of this audio-book lies in its bulk- and the knowledge that the rest of the Pallisers- each equally bulky- can follow behind it- like a warm ocean of Trollope stretching out with no further shore in sight. I listened to it in about a week, while lambing sheep, as a kind of backround music. In the whole thing only one mistake springs to mind- He pronounced 'Shoreditch' once with too much emphasis on the last syllable. And the pauses between chapters are too long. Being a native dane, Classic english litterature for me have been Austen and Shakespeare. 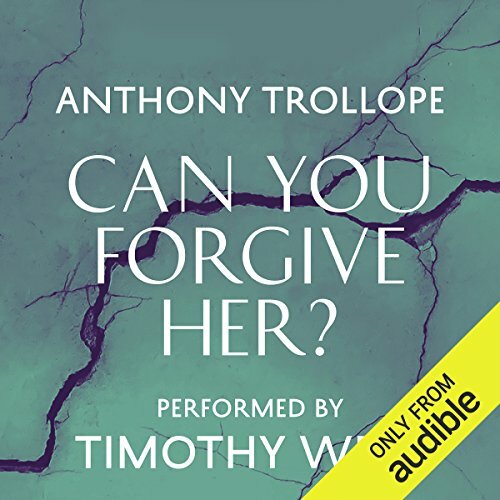 But Audible and Timothy West have introduced med to Anthony Trollope and I am hooked. This book in particular has moved me. Moved me to tears. Trollope has a fine and allso great understanding of human caracter, and Timothy West has a great understanding of Trollope. 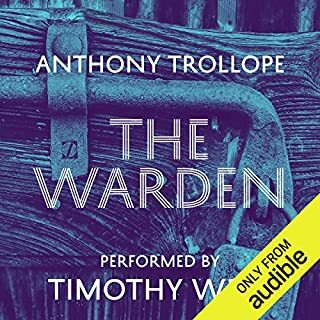 Another wonderful narration of Trollope by Timothy West. 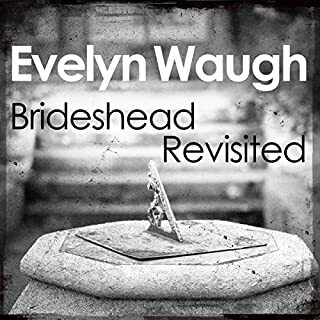 An absolute joy to listen to. The characters are brought to life brilliantly and I became completely immersed in the story, which is still as relevant today as it was when it was written. If you feel Anthony Trollope is a Victorian author you should avoid, please give this a try. I would never have tried to read a Trollope novel, but Timothy West's interpretation is absolutely brilliant. 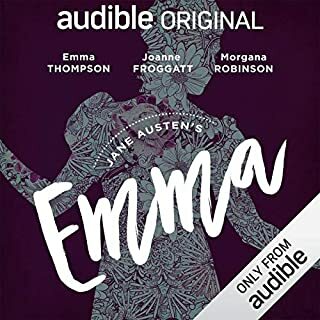 The plot is interesting, and if nothing else, provides the listener with the way in which women were expected to marry to gain their security and station in life. Listen to Timothy West's Mr Cheesacre, and I defy you not to laugh! Highly recommended. This is not my favourite Palliser novel: I find the story of the "her" whom we are to forgive or not, to be not one of Trollope's best. But it introduces Glencora and her story, and best of all, here is Timothy West yet again making Trollope even better than you thought. Trollope is an interfering author so the reader has to become Trollope as well as the characters. I'd like to know Timothy West's Trollope. So - five stars as usual. my first experience of Trollope, Wonderful ! Would you listen to Can You Forgive Her? again? Why? This first class book shows a great understanding of human nature and and the conditions and expectations of women at that time. Timothy West does a marvellous job of reading and bringing the characters to life. They way Trollope interrupts his own narrative to pose a question or make a comment is delightful. I love it. It may be the first for me but it certainly wont be the last. I had read about 300 pages of the paperback but was struggling. Determined not to give in so easily on my first Trolllope book I tried this audio version. Truly wonderful experience. Previous reviewers are quite right- Timothy West reads Trolllope so wonderfully well these are hard to put down. Truly wonderful and I do hope more of the Palliser series are to follow!! !